A good photographer knows how to control light. 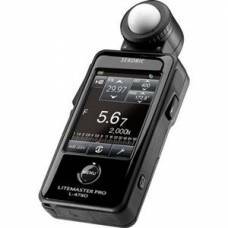 Digital light meters make measuring exposureEXPOSUREExposure is controlled by three elements: Aperture, Shutter Speed and ISO. Achieving the correct exposure is similar to collecting rain in a bucket, up to an optimum level. The rate of rainfall is out of your control (light), yet you can control these three factors: the bucket’s width (lens aperture), the duration you leave it in the rain (shutter speed), and how effective your bucket is in collecting rain (ISO). These three elements work together to control the amount of light per unit area, preventing underexposure (too dark) or overexposure (too bright), giving you a natural looking image. that much more predictable and accurate by measuring flash, incident and reflected light. 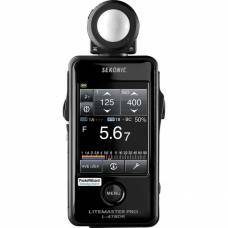 This allows you to quickly modify your exposure settings to get that perfect shot that is neither over- nor underexposed. These handheld devices’ touch screen interfaces make handling second-nature with simplified menu and navigation settings. 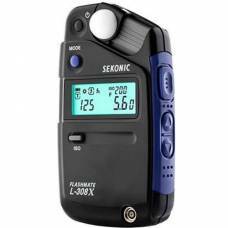 Established in 1951, Sekonic is a well-recognised brand delivering expert lightmeters - of which the Sekonic Digipro X-1 and L-518 meters were take into space in the NASA Space Shuttle!